shmups.system11.org • View topic - Extron DSC 301 HD (RGB>HDMI+scaling)-Best settings for 480p? Extron DSC 301 HD (RGB>HDMI+scaling)-Best settings for 480p? Post subject: Extron DSC 301 HD (RGB>HDMI+scaling)-Best settings for 480p? I just picked up an Extron DSC 301 HD (which I've read is just as good as the Crystalio II for 480p to 1080p upscaling). I'm hoping it'll give me some better upscaling for my RGBS/RGBHV/YPbPr OG Xbox, GameCube (usually played through a Wii), and my Dreamcast consoles for use on my 4K TV. I'm comparing it to my OSSC which is the only other device I have which can upscale 480p. When I compare it to my OSSC I honestly can't tell any difference (doesn't help it takes a few seconds to switch sources on my TV, so comparing it is not immediate and definitely not a side-by-side comparison or anything). I should probably just stick with the OSSC, but since I already have the Extron, and I like tinkering, and I've read about it here so I know some people own and use it, I thought I'd ask if there's any settings I can fine-tune, or any other interesting ways people integrate this into their setups. I read about people integrating it with their OSSC but I don't understand the reasoning behind that and what that would accomplish (maybe better 960p to 1080p? I don't know if my TV scales it or what, but line2x on a 480p source through my OSSC is always full-screen on my flatscreen). The first thing is which output setting should I be using? For my OG Xbox and Dreamcast (haven't tried my Wii/GC-via-Wii yet), the Extron DSC says the input is 640x480, RGB 31.46kHz 59.94Hz, 525 total lines; and I chose to output 1920x1080 (1080p) @ 59.94Hz, 'HDMI RGB 444 Full'. I noticed it has a 2K setting as well, but again I honestly can't see any difference between that and the 1080p setting so which would be best? I'm totally new to fine-tuning any settings like this FYI. On my Framemeister and OSSC (even my TVOne downscalers), I just use the pre-made settings people post online and they look good to me - gorgeous even...except 480p. That still kinda stinks to my eyes which is why I bought the Extron DSC to begin with. One weird thing is it says 'Display Info' is 3840x2160@30Hz, but I'm pretty positive my TCL 4K TV (49S517) is 60Hz - would this matter (don't know how it's reading my TV's info either...)? Do I always want to match the 59.94Hz? There are multiple 1080p and 2K settings like straight 60Hz for example). Oh, and for the record, don't even try to use these for 240p upscaling - it's the most ugly image I think I've ever seen (even hooking up composite directly to my 4K TV would look better I think lol). Anyway, to end, I think I'm beating a dead horse and 480p is simply what it is and it's simply never going to compare to my BVM-D20F1U or PVM-20L5 sitting right next to the 49" flatscreen...but you can't fault me for trying! Don't compare, use OSSC + 301 HD. But still of course not as nice as what you would get on a CRT broadcast monitor. Did you use the OSSC + DSC 301 for 240p? So OSSC set to 480p Line2x, OSSC's HDMI out to Extron DSC 301 HD's in, DSC's HDMI out to Flatscreen? Do you use the OSSC's 480p Allow upsample2x feature normally? I take it you find this combo gives you noticeably better results than the OSSC alone, or the DSC alone? (honestly, even using passthrough on the OSSC and letting my TCL TV upscale 480p by itself really isn't that much worse than using the OSSC's 480p2x). Do most (compatible) flatscreens automatically take the OSSC's 960p signal and upscale it themselves to 1080p? Mine is always full-screen without me doing anything (i.e. no black bars on the top and bottom to account for the 120 pixel difference between 960 and 1080) - in fact I've never seen any option on the TV to turn this on or off so it has to be automatic I assume. On the OSSC if I'm using any of the 240p multiplier modes (2x, 3x, 4x) there's only a very slim black bar on the top and bottom - the same exact height on 2x 3x and 4x modes, only 5x is completely top-to-bottom, so that has to be my TV scaling it as well, right?. I do remember back when I had a 1080p TV (have 4K now) that I thought there was an option I turned on for the 5x setting (which on 240p content is 1200 pixels) where it cuts off 60 pixels on the top and 60 pixels on the bottom so it outputs a 1080p signal. Should I find out what that setting is (I forget what it's called), and make sure it's off while I'm doing this testing? Sorry for the elementary questions about the OSSC and how they interact with most flatscreen TVs - I'm trying to get a grasp about how all this magic happens so I can better learn how to go about tweaking it. I know on my Framemeister XRGB-mini (and it's been a LONG while since I used that, and it was on my old 1080p TV), but on the FM when I did line2x on that the image was very small, 3x a little bigger, etc. - whereas on the OSSC everything seems to always be nearly all full-screen top-to-bottom. I have to say the GC looks extremely pixelated. PS2 looks nice. Is that drastic difference simply because of the graphical power of the GC vs PS2, or how they output their signal or what? I did strait from either the SNES or Genesis (maybe tried both, I forget) to the Extron DSC, then to my TV. All sorts of funky vertical lines and noise in every part of the image for the brief minute or so I tested it. I haven't yet looped the OSSC through the DSC but I'm definitely going to try that shortly. Couple other questions: the DSC 301 HD doesn't have a passthrough non-scaling mode does it (didn't see anything about that in the manual)? Would love to use it as a simple RGBS to HDMI converter (for another TV I don't have the OSSC hooked up to), and/or be able to turn its processing on and off so I could easily compare the OSSC's output to the OSSC+DSC's output (which when I run the OSSC through the DSC I can't compare them both back-and-forth without switching HDMI cables). When looking through the manual I also saw a bunch of info on the controller software, and even SIS commands (which I'm familiar with from my Crosspoints). Has anybody found anything interesting in there which isn't available through the DSC's on-screen display? There's no way to turn the DSC off without pulling the power plug, right? There's a SIS command (would have to have it hooked up to my Windows PC) for a power save mode but that's all I see. Is there a LPF (Low Pass Filter) on the DSC like the OSSC has? I see a "Detail" setting (which is the closest I can find) but that's it. have another look. Compare what the OSSC does with 960p output. Can you see the difference between enabling and disabling the horizontal 2x sampling rate? The problem is that the vertical axis remains rather blocky when you double 480p. If you feed 480p directly to the Extron, it will basically apply a softer scaling to both axis. If your TV forces an upscale from 960p to full height, then you can use the Extron the get around that. You can use Extron to place the OSSC's 960p output into a 1080p frame and restrict your TV to uspcale from 1080p to 2160p without any additional overscan compensation. The Extron is a god choice if the 960p output on the OSSC is too blocky for you and your TV can't do a nice 480p upscale on its own. it shouldn't matter since the Extron is 2K/1080p only anyway. Do I always want to match the 59.94Hz? you set the output to 59.94Hz, but in addition you enable the framerate lock function. right. But why would you want to disable the scaling ? The scaling on the Extron is as good as its gets. Your TV won't do it any better. maybe you could pick up a cheap 4x2 HDMI matrix ? Has anybody found anything interesting in there which isn't available through the DSC's on-screen display? the profiles are a bit more flexible (and numerous) when using the PC controller software. I was asking about disabling the scaling, i.e. passthrough mode on the DSC because then I could have the OSSC run through the DSC, and I could turn passthrough on and off on the DSC to quickly flip back and forth to compare/contrast the picture of: the OSSC by itself, the OSSC+DSC, and the DSC by itself (since the OSSC does has passthrough mode you can turn on or off). If the DSC had passthrough mode this would let me do all those things without having to touch a single cable. Speaking of not having to touch cables, if I could find a true HDMI matrix switch that's affordable, I could then loop everything in and out of that matrix switcher exactly how I run all my other converters/transcoders through my Extron Crosspoint - which is why I never, ever, have to touch a single wire on that super complex setup no matter how many devices I want to run a signal in and out of. This would let me more easily compare A to B back and forth quickly (which now I have to press like 5 buttons on the remote every time I want to switch HDMI inputs on the TV, then 5 buttons to get back to the other input...making comparisons a bit hard to go back and forth quickly). I saw on the recommended 4K switch thread that he likes this one, but I think I would need a few more inputs. I have the TVOne C2-2200A (two of them in my rack actually), a TVOne Corio2 MultiViewer, Xbox 360, OSSC, and Extron DSC 301 HD - so that's 5-6 minimum and I would definitely want a couple extra. I saw an Extron HDMI SMX matrix switcher on eBay for under $200...but I think I'm getting ahead of myself here...(plus I literally have every single space filled in my ~7' tall server rack right now and the rest of that room is absolutely packed to the brim with CRT monitors). Is the 'horizontal 2x sampling rate' the OSSC's upsample2x feature? I notice no difference between upsample2x on and off so far - and not too much of a difference between simply running a 480p signal straight to the TV without any device between (OSSC does look a hair better, but nothing earth shattering). I will look for the setting on the DSC to insert a 960p tall image into a 1080p frame - with black bars on the top and bottom I assume. Any clue what that setting is called? I think I would much prefer getting a proper exact multiplier (i.e. 2x) with no stretching done afterwards by my TV, even if there's some bars on the top and bottom. Going to mess with the OSSC+DSC combo right now and will report back. Again, it's hard for me to compare and contrast when I have to switch wires back and forth and/or change TV HDMI inputs, and I don't have any type of capture device to compare images afterwards or anything like that. Thanks for the help so far everybody. most are either outdated or expensive or both. For most setups it usually makes sense just to pair a required number of switches with a splitter at the end and just use two (or more) inputs on the same display. Is the 'horizontal 2x sampling rate' the OSSC's upsample2x feature? yes, but it's only active when you output in double the input resolution (e.g. 960p output from a 480p source). I think it's very noticeable, try to find a diagonal edge (something that pops out, maybe red) and compare. I will look for the setting on the DSC to insert a 960p tall image into a 1080p frame - with black bars on the top and bottom I assume. Any clue what that setting is called? picture controls > image size > match those numbers to the input resolution instead of the output resolution. it does handle all the OSSC outputs resolutions incl 5x 1200p (even for downscaling or cropping to a 1080p display), but it has problems with the SNES/NES sync jitter. I assume it has the same latency as the RGB-HDMI 300 (16ms)? OSSC: I reset the OSSC to stock settings. Only turned on 480px2 and upsample2x. Scanlines to 100%, hybrid to 75%. This REALLY - and I mean REALLY cleaned up the image. Only detriment is the image gets a little darker - I prefer it lighter but the level of darkness on the 4K TV matches both those CRT monitors (which are calibrated to SMPTE color bars like they say you should). My PVM-20L5 and BVM-D20F1U have very clear, albeit super small scanlines so this also makes the 4K TV's image match better. Extron DSC 301 HD: says the OSSC is feeding it 1440x960, HDMI 62.93kHz?? 59.93, 1050?? Total Lines. Output is set to 1920x1080@59.94Hz (1080p), HDMI RGB 444 Full. Looks like "Input AFL" is the Frame Lock (technically 'Accu-RATE Frame Lock' Extron calls it) - I turned that on. Changed 'Aspect Ratio' to Follow (other option is "Full" which stretches the image left-to-right). TCL 4K TV: the only setting I changed was 'Picture Size' to Direct (which makes the image a little smaller - I assume not doing any stretching so proper 1:1, and this got rid of some slight banding as well). Below is what I got. This is shrunk to a forum-friendly 800px wide image and really doesn't do it justice - the original .PNG at 100% with no compression (link below) shows it a lot better (but I have to say, still, somehow, looks a bit better in person). You really have to see it in full-res though, in 1080p. The OSSC+DSC combo is definitely a winner in my book for 480p content. I'm happy I picked up the DSC and will be integrating it into my setup. On a sidenote, unbeknownst to me, I can take screenshots from my TCL 4k Roku TV! Had to turn on developer mode via a special remote button press combo, and access it via a web interface. Anybody tried this before? Couple weird things though: the OSSC (by itself) screenshot got stretched for some reason no matter what 960p mode I tried (and I was turning on and off a whole bunch of settings, including ones I didn't quite know 100% what they did to test it pretty extensively). Think it's because it's really a 960p image, then the TV scales it on it's own to 1080p...which messes up the screenshot or something like that? Taking screenshots of the OSSC ran through the DSC is the only way I was able to get a screenshot like I see in real life. Another weird thing is when I crop the black away from each screenshot they're not actually 1440 pixels wide which I thought is weird. Also, when I take the stretched OSSC-only screenshot and de-stretch it to the same width as the OSSC+DSC screenshot they actually look remarkably similar to each other, but in real life the OSSC+DSC combo looks quite a bit better - couldn't figure that one out either. Last, is this is a 4K set but it only takes screenshots in 1080p. Even when I load my Windows 10 PC in actual 4K resolution the screenshot is in 1080p...doesn't seem to be settings to change this anywhere so it must be a limitation of the Roku software these run. it's because the PS2 and Dreamcast only have 640 active pixels per line even though timing wise they are outputting DTV 480p - your cropped image probably has ~1280px width right? any pics without the fake scanlines? I can take some more at another point in time if you all really want to see them. I don't think the Roku TV takes the best screenshots but it beats a cell phone camera at least. as hinted by the bunny, the 1440px width does not directly translate into a proper aspect ratio. The 960 are fine if you want to avoid any vertical rescaling, but you need to reduce the width to give a proper 4:3 image. It's definitely a bit wider than 4:3, as shown in the below image (the dotted line is where 4:3 ratio would be). Honestly, I would be fine with this if it's going to eliminate any of the funky scaling things I've seen from time to time, but I will try to tweak further. Now please correct me if I'm wrong, but when trying to scale this further it's the vertical that you really want to keep at an exact multiplier of the original image, right? So never touch the 960 number (doubled from 480). The 1440 is what I can try to tweak to get it to that 4:3 ratio? - and in theory changing that number shouldn't introduce any dirtiness? On the OSSC itself, are there similar areas where I can tweak the size of the image like I did on the DSC? I went through (I think) every single option and didn't see any numbers anywhere near 1440 (which is what I set the DSC at). I also have a feeling even if I did find this, and tweak it, since the vertical is still going to be 960, my flatscreen is going to try to scale it as well (because it's not a standard 1080p resolution) which will introduce some dirtiness to the image which I don't want (and which is why the DSC, with it's proper 1080p output - with the 960p 'native' image inset inside of that with black all around, eliminates the scaling my TV wants to do on it's own on a non-1080p signal, right? ...hope that made sense). Last, unless I find an alternative to the Extron DSC which can do 1440p (line3x for 480p content) or above (which there is the Extron 4K HD-HD series...but those are pricy being newish models), then I'm still stuck with a much smaller image on my flatscreen no matter what, correct? I would love to be able to get the image full-screen but I think that will just look bad and I won't be happy. Bonus question: Any thing I can experiment with on my TVOne Corio2 devices built into this chain somewhere? I believe Xer Xian said that his Corio2 does the best 480p upscaling he's seen, but I didn't think it was as good as even using the OSSC alone (but maybe I was doing something wrong). Dochartaigh, have you considered just getting a DVDO? Your display should scale 1080p well. With a fast sampling timing tweak to the OSSC, you can line double 480i and 480p to the DVDO--and get good results. That will allow you to easily take control of the output with limited trade offs to image quality and very little additional latency. This is really my first serious foray into upscalling to a flatscreen - just added the 4K TV to the game room in October so I'm slowly testing out my OSSC for the first time – and I've had the OSSC and a XRGB-mini for quite some time now. I've used both of those before on the 65" TCL 6-Series in the living room, but it's a pain to move consoles to the living room, plus I've been extremely content with playing everything on my PVM and BVM CRT's for the last couple years. I've been perfectly content with everything 240p I've thrown to those two upscalers - really does look beautiful, especially since the OSSC added the hybrid scanlines which I'm a fan of. Haven't even noticed any/many drop-outs people complain about, but I do still need to run them through their paces on all systems. Speaking of dropouts, I did get some black-screen drop-outs on the OSSC+DSC...but not many at all, and nothing that bugged me enough to turn me off from the now-nice 480p upscalling I'm getting - hopefully that is rare. @Dochartaigh That is a very nice thread and very useful for me : ). As I am not happy with the 480p upscaling of my Framemeister for my Gamecube games, I am also thinking off getting the Extron DSC 301 HD after Fudoh recommended it. It is a pity though that you are not completly Content with the result. Hope I will feel different when I get mine. I am really curious about the results my Gamecube and my Dreamcast can deliver with the Extron. The Extron's scaling is good enough that you easily adjust both axis to your liking. It's a bit critical with scanlines, so if you have those enabled, leave the vertical scaling untouched. On the OSSC itself, are there similar areas where I can tweak the size of the image like I did on the DSC? no, not really. If you change these you change the sampling rate and this causes massive artefacts. Last, unless I find an alternative to the Extron DSC which can do 1440p (line3x for 480p content) or above (which there is the Extron 4K HD-HD series...but those are pricy being newish models), then I'm still stuck with a much smaller image on my flatscreen no matter what, correct? your TV gets a 1080p image from the Extron and is supposed to scale that to 4K. The borders you should be seeing are the same we see on your snapshot (960p on 1080p frame). I would love to be able to get the image full-screen but I think that will just look bad and I won't be happy. try to scale it on the Extron. As said, scanlines can be a problem, but the scaling engine is as good as it gets. The Extron supports 1200p output, which you can try as well, if your TV accepts it. I've only really been testing with my original Xbox so far - still have a LOT of testing left to do with this OSSC+DSC combo (have DC, Wii which I play GC on too, and a few 480p PS2 games I might try), but from what I've seen so far I AM happy with the results I'm getting (as compared to the results I was getting before). I have one of these on the way. I was somewhat thinking of using it strictly for my PS2, but, if it does well deinterlacing and scaling the output of the OSSC, I'll just leave it downstream of my OSSC. I can also try pairing it with my UltraHDMI, but I don't think that will get me anything over the UltraHDMI's built-in scaler. Unfortunately, my living room TV is a 1366/1368x768 panel; I wonder how well the DSC 301 HD will be at scaling to that res. Ok I see. 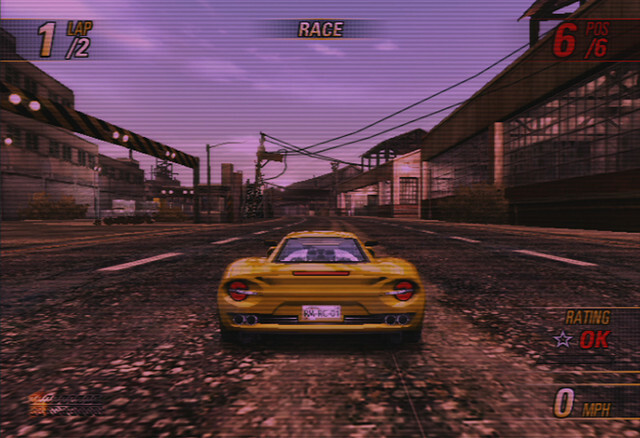 Yeah I have also read that the 480p upscaling of the FM is not that great.But I was curious how the Upscaled Signal of the HDMI mod looks, and the People were completly right about 480p and the FM. I had no choice though because the Framemeister is the only scaler I have. Soon this will change, when I get my Extron. 301. Looking Forward to use the extron with my Gamecube and Dreamcast then. I was somewhat thinking of using it strictly for my PS2, but, if it does well deinterlacing and scaling the output of the OSSC, I'll just leave it downstream of my OSSC. Unfortunately the Extron is NOT a good deinterlacing device. Anything has got to be better than bob deinterlacing from the OSSC. pretty much every home theater video processor does. Any of the DVDOs does. And of course the Framemeister does. Does anyone have the latest firmware and/or software for this thing and is willing to share? I have everything - I'll PM you. you guys have any updates on this scaler? how's it performing lately? Haven't touched it since I posted last to be honest. Maybe this weekend I'm going to first get the image truly 4:3, then work on seeing how the DSC scales it a bit larger (it's currently 1:1 ratio of that 960p signal, so letter and pillarboxed on my TV right now - I want to get it full-screen...well, top-to-bottom at least). After that I want to try Dreamcast (which I might have to wait for my knock-off GDEMU to come in as my 2x DC's have iffy optical drives at the moment), and Wii (and GameCube over Wii), along with seeing how it does with my Xbox 360 playing all those (mostly) Japan-only Cave games in 480p over VGA cables. 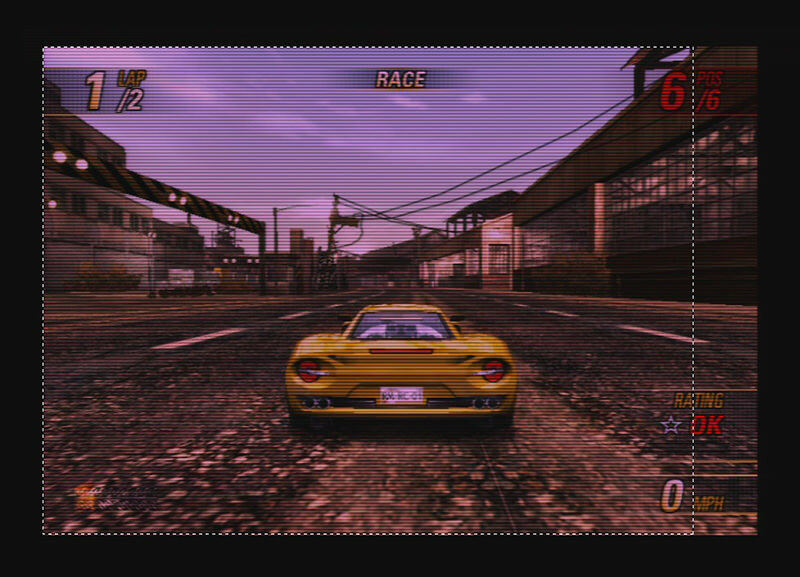 Might even boot-up the like two PS2 480p games (via RGsB SCART) I have and see how they look.